While we’ve focused a lot of our efforts on the 3.0 release of our iOS app, we have also continued to enhance our web app. While we’ve added & redesigned features to the website, we’ve also made significant upgrades to our system (impacting both iOS and web) making our app one of the fastest in the market. These enhancements, alongside the new designs and features will make for a great sales experience! Create simple map filters to target your sales. 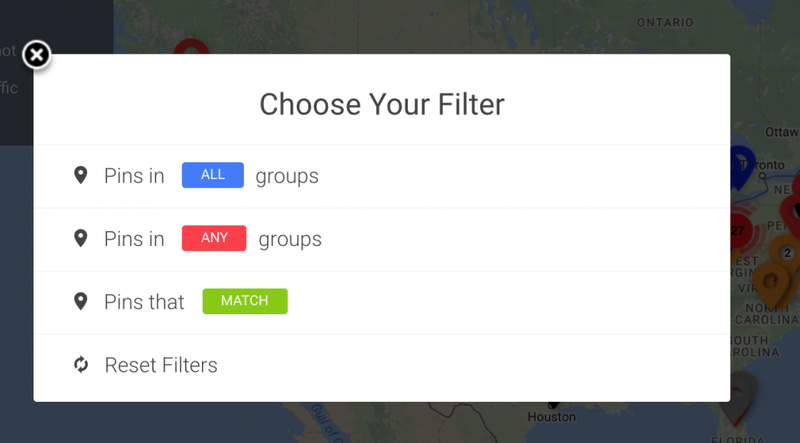 Our Groups & filtering feature was completely redesigned! Now, it’ll be much easier to create map filters. 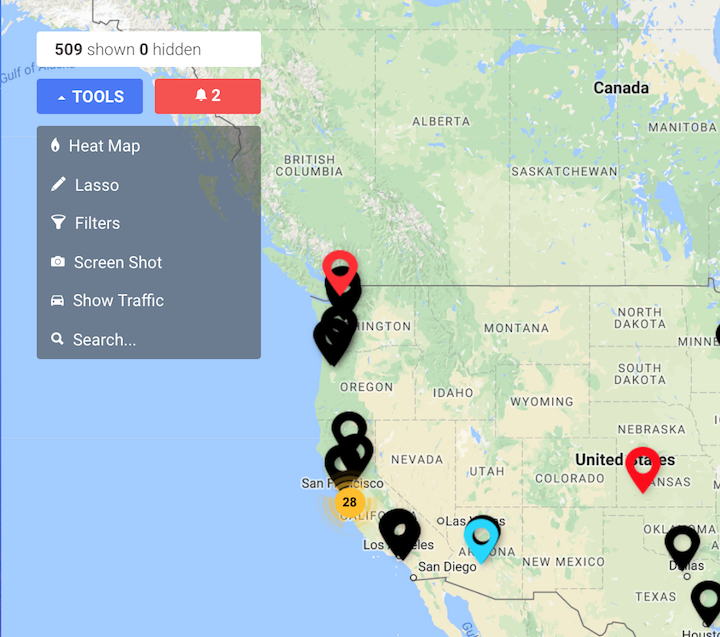 To get started with this, click on the Tools box on the top left of the map so you see the various options including filters, heat maps, a search bar, etc. From here, you’ll be able to choose three different filter styles. Clicking on “Pins in ALL” or “Pins in ANY” prompts you to a screen with your list of groups, or categories. Using the “Pins in ALL” functionality allows you to view pins on the map that are in the groups you selected, simultaneously. The “Pins in ANY” functionality shows you the pins on the map in any one of the groups you select. Lastly, choosing the “Pins that MATCH” option allows you to create a filter by a very specific field such as address, state, color, etc. With this re-designed version of filters/groups, you’ll be targeting and closing sales more effectively in no time! Want to start prioritizing which leads to spend time on? Our brand new 5-star lead scoring feature will allow you to do just that. To access the lead scoring feature, simply pull up a customer’s account profile. Then, scroll down the page to where it says “Lead Score”. Here, you’ll see five blank stars (assuming the lead was not previously scored). Simply, by tapping on a star, you will be able to score each lead by a number of stars. You’ll then be able to sort your contacts by lead score and prioritize who to contact that way! The latest updates & articles from the team on the cutting edge of sales. Available anywhere on any device, Map My Customers provides the mapping and productivity tools needed to supercharge field sales efforts.